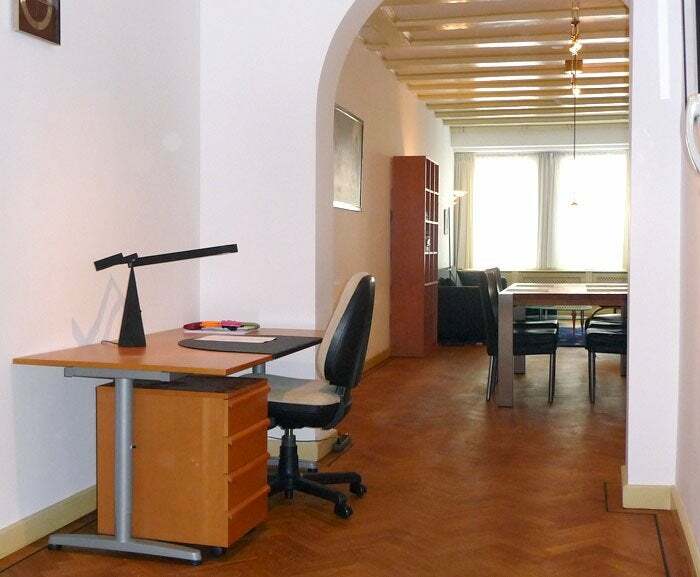 A1 location in the centre of Amsterdam on the Reguliersgracht no. 15 (gracht=canal), between the Herengracht and Keizersgracht, only 2 minutes walk from the Rembrandtsplein, the entertainment centre of Amsterdam. 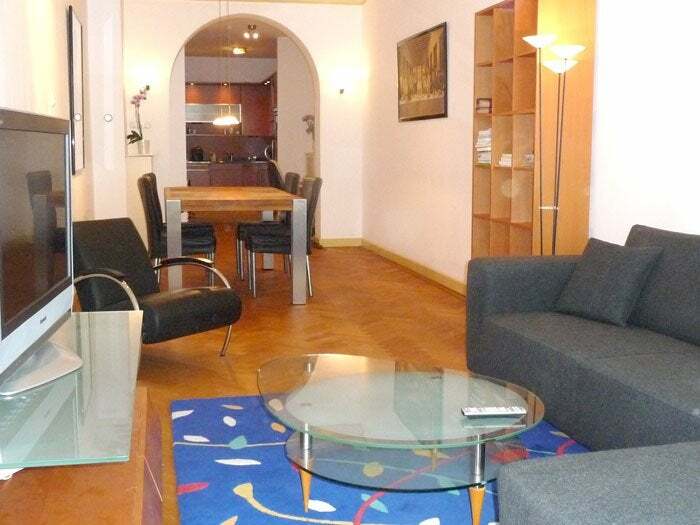 This building has been completely renovated and divided into four luxury apartments. It can be rented for shorter or longer periods of time and are very suitable for executives during their stay in Amsterdam. 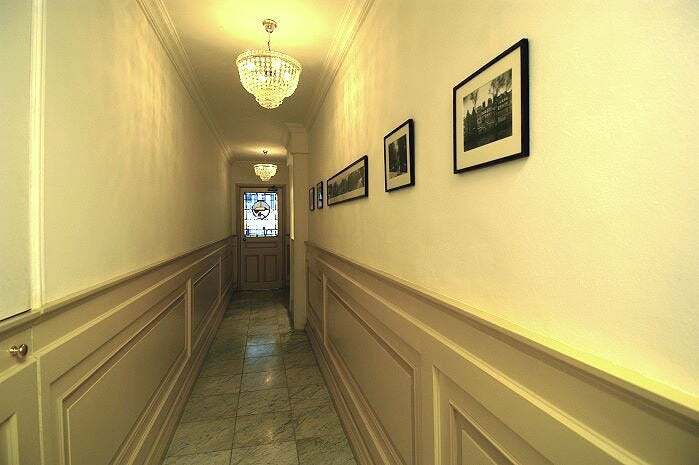 The entrance, a beautifully decorated corridor with marble floortiles and chandeliers. The living room, tastefully furnished. The apartment is centrally heated and double glazed. A comfortable double foulding bed is available for guests. It has a LCD, HD-ready, High-Resolution, 37" TV, Bose home-theatre surround sound dvd hi-fi set. The bedroom is located on the garden side of the building. 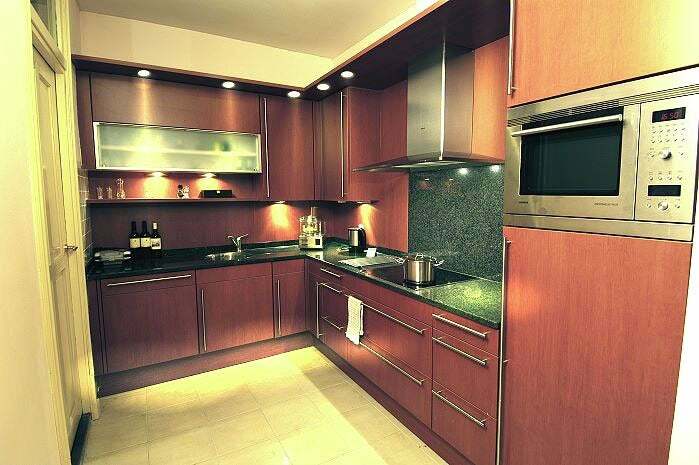 The kitchen has a dishwasher, combination oven/microwave, induction cooking, built-in fridge and granite worktop.